My entertainment industry friends kid me that I have the best job in Hollywood. The joke is that I don't really work in Hollywood at all. As Director of Multimedia and Film for the Natural Resources Defense Council (NRDC), however, I live a Hollywood dream: making movies about issues that matter to me. NRDC's latest award-winning documentary, "Wild Things," premieres on Pivot TV on May 13 at 9:00 p.m. Eastern. It's part of a series of films about our impact on other animals on Pivot's Doc Watch, Wednesdays this month. The purpose of NRDC's film unit is to shine a light on important but little-known environmental problems, to share solutions and to drive engagement (you can take action at www.wildthingsmovie.org). Working on "Wild Things" was a particularly rewarding experience for me because there's an emerging movement of progressive ranchers turning away from the destructive practices of the past and working to create a more sustainable future. It felt good to be able to tell their story to a national audience and to know that might help protect beautiful animals and their habitat in the future. These ranchers reject the idea, so common for centuries, that "the only good carnivore is a dead one." As Becky Weed, a Montana sheep rancher highlighted in the film put it: "If I really wanted risk-free ranching, I'd go move to a corn field in Illinois." We had an extra incentive to make "Wild Things," namely to pull the veil of secrecy off the US Department of Agriculture's Wildlife Services program, which does everything it can to avoid public scrutiny. 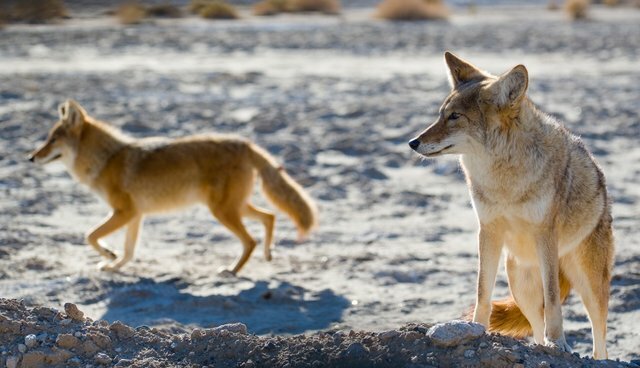 The vast majority of Americans have no idea that their tax dollars are being spent to kill tens of thousands of native carnivores annually, often in inhumane ways. It used to be rare for major advocacy organizations to make documentaries, but that's changed in recent years. Both the ACLU and the Sierra Club, for instance, have produced TV series about their issues, and "Wild Things" is NRDC's fourth documentary to find TV distribution. Our films "Acid Test" and "Stories from the Gulf" both aired on Discovery Networks, and a short we made called "Crude Substitute" aired on Sundance Channel. NRDC's film unit is just finishing up its most ambitious project yet, a 60-minute documentary featuring Sting, called "Sonic Sea," about the devastating impact of industrial and military ocean noise on whales and other marine life. We're producing it with the creative studio Imaginary Forces and in conjunction with our sister organization, the International Fund for Animal Welfare (IFAW). Our writer is Mark Monroe, who wrote the Oscar-winning film, "The Cove." Stay tuned for more information about "Sonic Sea," coming soon. Meanwhile, set your DVR for the "Wild Things" premiere on Pivot TV, Wednesday, May 13 at 9:00 p.m. Eastern. To find your Pivot TV channel, visit: www.pivot.tv/interstitial/channelFinder. We now have the enviable task of choosing the subject of our next documentary among several urgent and fascinating stories. I suppose my friends in the entertainment industry are onto something after all. Daniel Hinerfeld is Director of Multimedia and Film at Natural Resources Defense Council.